In the spirit of new years resolutions, and since one of the biggest things I use my phone for is to do lists, file organization, etc. 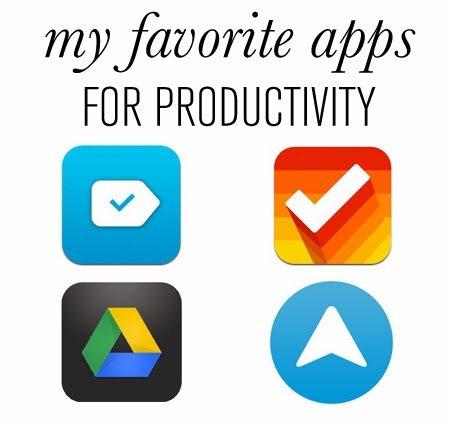 (along with texting), I figured I would make a list of my favorite apps for productivity. A little different than my usual content but why not! My Any.Do to do list. This is my go to, everyday to do list. It's great because you can sort tasks by today, tomorrow, upcoming & someday (or by folder) and set reminders and locations for each task. You can also use the "any.Do moment" function which allows you to set a time and reminder for each location that you have on your list for the day, so you won't forget what you need to get done. It is a little buggy sometimes, but each update has made good improvements. Another good thing is it counts all of your completed tasks, and you can access them again if you need to. Photo from Bless This Stuff's review. A screencap of my Clear homescreen. This was my original to do list app, but the only downside is you can't set reminders for tasks (which is a feature I really need). But I do use this for my more long term to do lists and just idea lists. 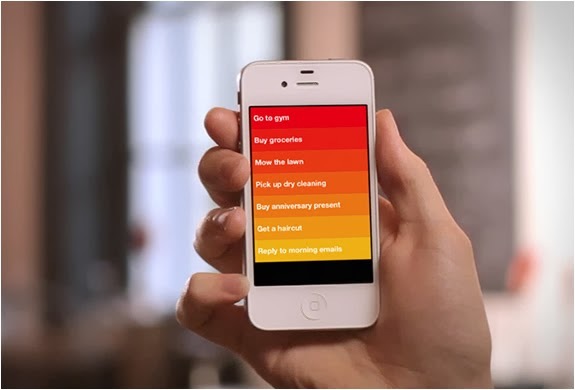 It's a really simple interface, where you swipe downward to add a task, swipe to the right to cross it off as complete, swipe to the left to remove it, and swipe the screen down to clear all of the complete tasks off of your list—and it makes a really happy sound when you clear it! My Google Drive mobile homepage. Google Drive is without a doubt my number one file storage and organization app. It's simple, integrates with my Google account, easy to organize, and the mobile version is very streamlined so it loads quickly and works efficiently. It can hold every file type, and you can upload from anywhere, which is great. My Lift home screen—just a few habits I'm working on. I recently discovered Lift and it's a great motivation tool for any habit or task you can think of—you can create your own habit/item or use any of the many existing ones. It's great for reminding you to exercise, to read more, blog more, or even to take a walk outside. It will give you push reminders (if you tell it to) for all or certain tasks, and even gives you a daily email digest of which items you have checked off and if you're on a streak (you can disable email alerts if you want). It also has a social aspect, but I honestly haven't really used it for that yet. But for a free app, it's great and has a wide range of capabilities. Do you use any of these apps? Will you try any of them?